Review the system of plant identification, general characteristics of the conifer plant group, information contacts you can use (ie: nurseries, seed, clubs, etc). Planting, staking, mulching, watering, pest & disease, feeding, pruning, protection from wind, salt air, propagation, etc. Conifers that reach tree proportions, their characteristics and requirements, how to grow conifers by seed propagation and grafting techniques. Many conifers fall into this height category. Some of the popular conifers are Chamaecyparis, Juniperus and Thuja. How to prune conifers. How to choose small and prostrate conifers and their care. How to care for seedlings up to planting out stage. 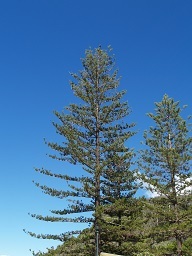 Araucaria, Callitris, Podocarpus are three good conifers for use. The importance of environmental zones in Australia and how it can effect plant growth. Hemlocks, Podocarpus, Larches and leaf characteristcs of Cephalataxus. As timber, oils, edible seed, Christmas trees, etc. Distinguish between different types of conifers in cultivation, including twenty-five different genera and fifty different varieties. Specify the general cultural requirements of different conifer genera. 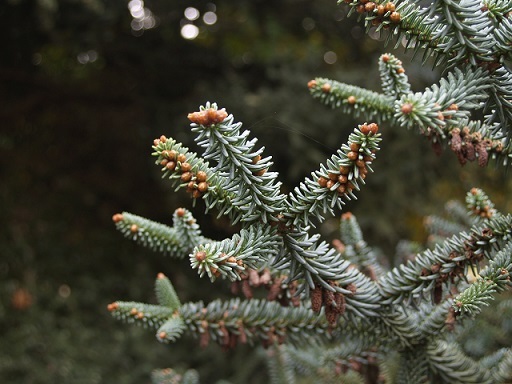 Determine specific cultural requirements for some commonly cultivated conifer species. Specify specific cultural requirements for some lesser grown conifers, including Australian native and uncommon species. Determine different commercial applications for conifers in horticulture. Prepare a planting design using conifers. Conifers come in all shapes and sizes from ground covers to tall trees. Some are better suited to hot climates than cold, and others more tolerant of drier climates than wet. You learn about which netter suits which situation as you progress through this course. In general though, conifers require similar basic care that might be expected for all plants; such as fresh air, good soil, ample water, fertiliser, protection from pest and disease, appropriate temperatures, etc. Conifers tend to originate in mountainous zones of the world. As such they have a reference for clean non-polluted air. The gardener in such a location has an advantage. Sloped land tends to have more air movement at ground surface than flat land. This feature could be utilised to help conifers grow better by aiding ventilation. Conifers prefer most well drained fertile soils. Excessively sandy or clay soils are generally not liked by most. If establishing conifers on clay based soil it is important to raise the level of soil, by either importing fresh soil onto your property or by adding bulk to the existing soil (i.e. adding compost). Both methods should treat the existing soil first with gypsum powder to be dug into the clay or a liquid soil ameliorant solution, liberally applied to the soil. It is imperative to get the root system above the established water table. For this reason raised garden beds should be about 30cm minimum high. Sloped land will aid drainage, but may actually impede water penetration as most rainfall will just wash over the surface and travel downhill. Conifers are best kept moist but never wet. Exception to this rule includes the swamp cypress (Taxodium distichum). Allowing the root zone to dry out may increase sunburn damage due to the dehydration effect on the plant. Most conifers handle the occasional dry spell well but should never be subjected to drought. Newly planted specimens should be well watered until established. It is important that young evergreen conifers receive adequate water during autumn as a dry root system in winter may be disastrous. When watering by irrigation it is best to water in such a manner as to avoid excessive wetting of the foliage. Applying water directly to the roots, by drip irrigation or low-riser sprinklers, is regarded as a better watering technique compared to overhead watering. Wet foliage may lead to increased humidity and decline in conifer health.